It was a sparse season again. Earlier this month, a couple of my friends and I ventured across the Bay to pick berries. No, we didn’t walk on water to rival Jesus. My beloved gave us a skiff ride to “Blueberry Hill,” which is code for our favorite gathering place. So much for our covertness. We saw all sorts of friends and locals there. 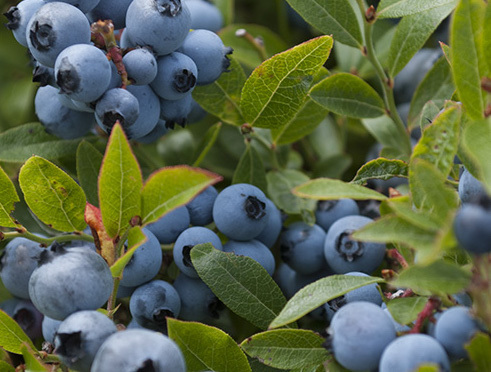 Like last year, the Alaskan blueberry bushes were pretty much bare. OK, maybe a few grabby hands were in front of us. Or strong black bear claws. I came home with only 3 cups. Compared to earlier years, my bucket was pretty empty. Even so, I enjoyed the sweetness of the plucked ones in my cakehole. It got me thinking about when our neurobiological buckets are empty. Empty of fruit and more full of stems, bugs, and leaves. And such can be the case after you experience a frenetic summer in Alaska. Or you listen to the radio about the national scene. Or you top out on social media. Or you figure out that Mars is in retrograde. Or you see your co-worker lose her vitality. Or witness your child severely ill. Or feel yourself quaked to about 7.2 magnitude. What I’m calling your neurobiological bucket is the inner felt-sense you are carrying around in you. It could be the buoyancy of joy. Or a soft whoosh of calm floating through your chest. However lately, I’ve noticed an unfriendly, bitter fruit. I sense it online. In RLT (real live time). With my clients. With my friends. Colleagues. In community. Edgy. When they are chockfull of tangled twigs and weeds, our inner buckets are more rife with the heat of anger, the pulsing of annoyance, and the jitters of fear. And when they are void of any fruit, we feel the wash of shame, the constriction of sadness, and the hole of utter despair. Whether lodged in the pit of your stomach, the lump in your throat, or behind your breastbone, these bodily sensations beckon. Scream. Nudge us. Whisper to us at night. Jump up and down. Throw a tantrum. Like Eve and Nick, most of us turn away from our bodily sensations – our internal barometers – our visceral awareness of feelings and emotions. We work overtime creating all those distracting storylines and scripts. Why? The feelings are painful. And we got pretty disconnected from them earlier on in our wee years. Ahh, the strength of ne ural circuits. Sometimes we don’t even realize we are going on and on about some stressor, the dismal world news, the promotion you didn’t get at work, or how your sister took advantage of you. But if you catch yourself in the midst of your own story or find yourself a bit bored with your rambling, find your present moment. Grab a rock and feel it. Center on a Soothing Breath with a 4-count inhale and an 8-count exhale. Note all the sounds you can hear without naming them. Move out for a walk into nature. Slide that inner chatter from your head. Listen to a soothing song. This is the hardest part. When you are heated up with unpleasantness or completely drained, lean in. It’s here you want to take a breath of life. It’s here you want to tap your sweetness. It’s here you want to carry your kindness into that felt-sense experience. Maybe it’s a big lump in your throat. All it’s asking for is your caring attention. It wants you to turn toward it – see it, hear it, know it, experience it, accept it. To show up for whatever unpleasant feeling is coming down or up. Move your mind with softness to it. Envision light space around the lump. Just gently move to its edge – in a very visceral, body-based way. One of the joys of popping a wild blueberry into my cakehole is the burst of tart mixed with sweet mixed with earth. 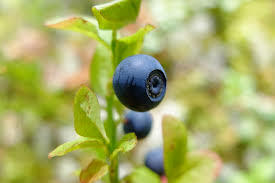 When I savor the experience of eating a blueberry, it expands, lightens, and gains even more flavor. And then it’s gone. Fortunately our feelings are just like berries. A feeling doesn’t need your words. It only needs your caring attention on its physical felt sense. And the time to mindfully chew and swallow your juicy berry is about the same period for the biochemical reaction of a feeling to rise and fall. What makes work teams effective? Together research and our neurobiology determine the top predictors of high-functioning teams. When Team Brains Work Best is a 5-hour interactive training that allows staff and leaders to determine how to create more of the influential dynamics on their work teams, embed them, and use them! For more info click image.